Thailand has a very liberal visa policy offering visa exemption and visa on arrival to many nationalities. Thailand tourist visa requirements are clear and easy to follow. The visa on arrival fees are quite steep but it is easy to avail. Visa required passport holders can apply for the visa only in their country of passport or residence. Thailand Visa on Arrival requirements are quite clear and easy to follow. Currently, 21 nationalities can avail Visa on Arrival at 42 international checkpoints including all international airports and land/sea border crossings with neighboring countries. Visa on Arrival can be availed at these 42 international checkpoints. Online Visa on Arrival facility is currently available only at Suvarnabhumi International Airport (BKK) in Bangkok. If your first port of entry is Suvarnabhumi International Airport (BKK) in Bangkok, you can avail the online facility. Online Visa on Arrival application must be completed at Thai Immigration website prior to your arrival in Thailand. Here is a video that guides you on how to avail Online Visa on Arrival at Suvarnabhumi International Airport (BKK) in Bangkok. The following documentation is required for Thailand Visa on Arrival. Return/onward flight ticket is mandatory and it must be within 15 days of arrival. If your return ticket is over 15 days, your Visa on Arrival will be denied. You will be asked to rebook your ticket and come back in the line. Rebooking the flight ticket in the airport is difficult due to limited internet and printing facilities in the airport. Hotel booking is mandatory. A minimum of 4 days or more is required. I strongly suggest you have your hotel bookings for all 15 days. Just 1 or 2 days of hotel booking will not work. You will be asked to book the remaining days and again it would be difficult to book the hotel online at the airport due to lack of internet. Proof of funds is minimum 10,000 THB for individuals and 20,000 THB for families. You would need to show the proof of funds in cash. You can get away by saying that you have your debit and credit cards on you. But, I strongly suggest you have at least 5,000 THB on your and for the remaining, you can show your debit card, credit card, and bank statements. Thailand Visa on Arrival fee is 2,000 THB (approx. $64 USD). This fee must be paid in cash in Thai Baht (THB) only. Currency exchanges are available near the Visa on Arrival sections in the airports. No ATMs are available, so make sure you have THB or at least some form of major currency (such as USD, EUR, etc) on you. Visa on Arrival can take about 1 hour or more depending on how long the line is. Make sure to account for at least 1 hour of time for your Visa on Arrival process at the airport. Here is a video made by the Royal Thai consulate in Kuala Lumpur, Malaysia on how to fill and arrange the documents for your Thailand tourist visa. Important: Visa REQUIRED passport holders can apply for Thailand tourist visa ONLY at the Royal Thai consulate or embassy in their country of passport or country of residence. These passport holders are called “listed countries”. 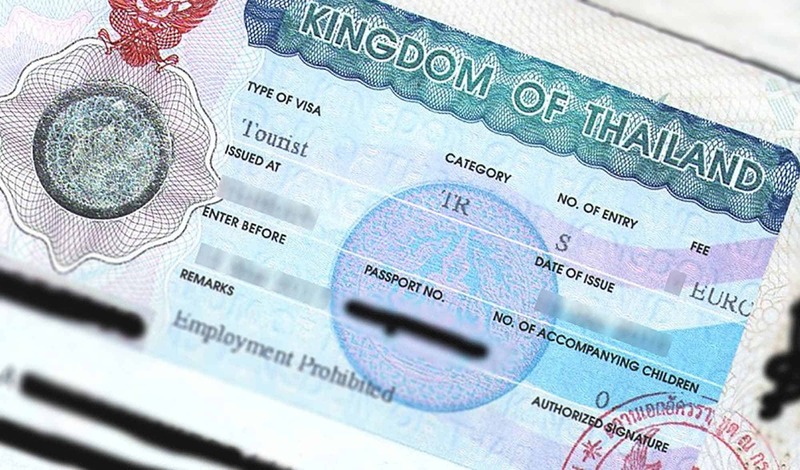 Passport holders from the “listed countries” can apply for Thailand tourist visa ONLY from within their country of passport or country of residence. Thailand tourist visa fee is roughly 1,000 THB ($32 USD) for single entry tourist visa and 5,000 THB ($160 USD) for multiple entry tourist visa. The fee slightly varies as you will be paying the fee in your local currency. Thailand tourist visa processing time is 3 to 5 working days. For Afghanistan, Iraq and North Korea passport holders, the visa processing can take anywhere from 3 weeks to 2 months. Royal Thai consulates, embassies, and VFS Global offices in some countries offer visa application tracking facilities. Check with your nearest Royal Thai embassy or consulate or VFS Global office for more details. You can apply for Thailand tourist visa at your nearest Royal Thai embassy or consulate in person. India and Bangaldesh nationals can apply at their nearest VFS Global offices as well. You cannot apply for Thailand tourist visa my mail/post. Some visa/travel agencies are authorized to apply for Thailand tourist visa on your behalf. Check with your nearest Royal Thai embassy or consulate. You can contact the Royal Thai embassy or consulate by their phone or email if you need any information. There is no procedure for visa application withdrawal. If you are a Visa REQUIRED passport holder and would need to transit through Thailand, you would need to apply for Thailand transit visa. Pro Tip: If you are a Visa ON ARRIVAL eligible passport holder, you can avail Visa on Arrival while transiting through Thailand, but it would cost you 2,000 THB. Though, applying for a transit visa would be cheaper. Thailand transit visa fee is roughly 800 THB ($25 USD). It slightly varies as you will be paying the fee in your local currency. Thailand transit visa processing time is 3 to 5 working days. For Afghanistan, Iraq and North Korea passport holders, the visa processing can take anywhere from 3 weeks to 2 months. Royal Thai embassies, consulates and VFS Global offices in some countries offer visa application tracking facilities. Check with your nearest Royal Thai embassy or consulate or VFS Global office for more details. You can apply for Thailand transit visa at any Royal Thai embassy or consulate in person. You cannot apply for Thailand transit visa my mail/post. Some visa/travel agencies are authorized to apply for Thailand transit visa on your behalf. Check with your nearest Royal Thai embassy or consulate for more details. After check-in, make sure to arrive at the gate a bit early. The airline staff at the gate sometimes would like to check the visa requirements again. If you are visa exempt or have a pre-approved visa from the consulate, head straight to the immigration. Make sure to grab and fill the arrival/departure card before your immigration. If you are availing Visa on Arrival, head to the Visa on Arrival section. Grab a copy of the application form and an arrival/departure card (if you haven’t received one on the flight). Complete the application form and arrival/departure card. There are examples of completed application forms on the walls to assist you with filling the application form. After filling the application form, go and stand in the line for the document check. To save time, you can download and fill the Visa on Arrival application form before you arrive at the airport. If you are arriving at Suvarnabhumi International Airport (BKK) in Bangkok, you can fill and submit for Visa on Arrival application prior to your arrival in Thailand. The process at the airport is much faster if you have already submitted the online application. This facility is currently available only at BKK airport. Important: Visa on Arrival fee can only be paid in THB. There are NO ATMs at the Visa on Arrival sections in any of the Thailand airports. So, make sure to carry enough cash in THB (Thai Baht) or major currency. There are currency exchanges at Visa on Arrival sections. So if you have some major currency on you, you can change it into THB. After document check, you will be given a token number. Wait for your token number to be called/displayed. When your token number is called/displayed, head to the counter and pick up your passport with visa stamp. Verify the details on the visa to make sure everything is ok.
After you pick up your visa, head to the immigration area. Important: Make sure to fill in all the details in your departure card before the passport control. You will be sent back to the beginning of the line if your departure card is not filled in. If flying out of Bangkok (BKK and DMK), long lines at check-in counters and passport control are common. Arrive at least 2 hours before your departure time. FAQ: Do you need a visa to visit Thailand? It depends on the country of your passport. Thailand offers visa EXEMPTION and Visa ON ARRIVAL to most nationalities. Rest of the nationalities can apply for Thailand tourist visa at their nearest Royal Thai consulate or embassy in their country of passport or residence. Thailand entry requirements are fairly clear. Thailand visa policy is quite liberal as well. Refer to the “Thailand Tourist Visa Requirements” section above to confirm if you need a visa for Thailand. FAQ: Which countries need a visa for Thailand? About 65 nationalities need a pre-approved Thailand tourist visa before arrival in Thailand. Of which, 21 nationalities can avail Visa on Arrival at about 42 checkpoints including all international airports, land and sea borders with neighboring countries. Refer to the “Thailand Tourist Visa Requirements” section above for a complete list of countries that need a visa for Thailand. FAQ: How to get a tourist visa for Thailand? You can apply tourist visa for Thailand at your nearest Royal Thai consulate or embassy. VFS Global offices in some countries (India and Bangladesh) also accept Thailand tourist visa applications. First of all, check if you can get Visa on Arrival in Thailand from the “Thailand Tourist Visa Requirements” section above. Visa fee is 2,000 THB. This fee must be paid in cash in Thai Baht (THB) only. Make sure you have Thai Baht on you or at least some form of major currency that you can change at a currency exchange. Visa on arrival procedure takes about 1 hour or more. Make sure to account for at least 1 hour of time for your Visa on Arrival process in the airport. 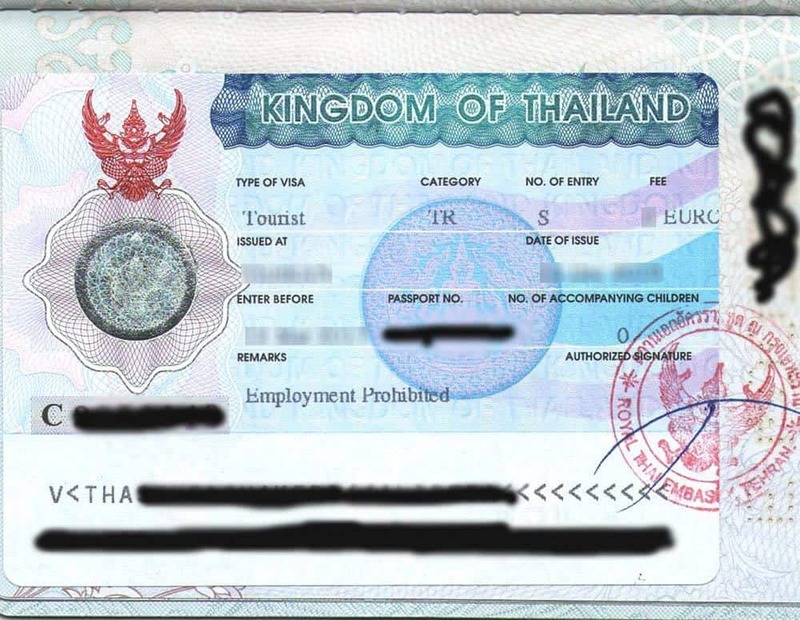 FAQ: What are the documents required for Thailand tourist visa? 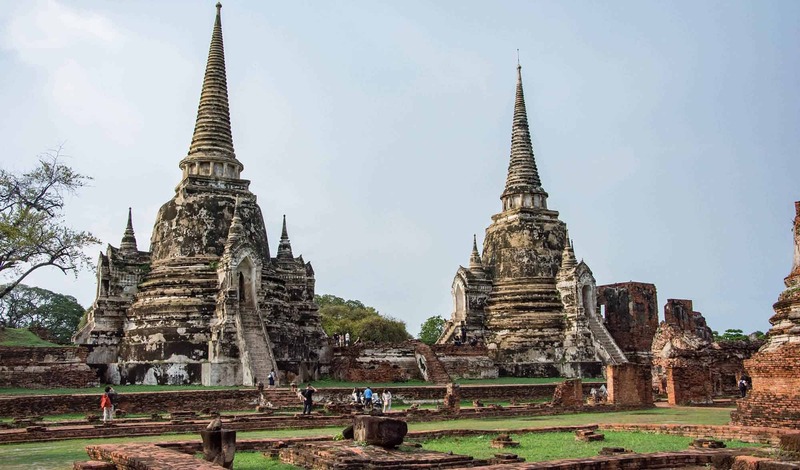 FAQ: How long does it take to get Thailand tourist visa? It takes about 3 to 5 working days for Thailand tourist visa processing. For Afghanistan, Iraq and North Korea passport holders, it takes much longer, anywhere from 3 weeks to 2 months. FAQ: How to check Thailand visa status? Royal Thai consulates or embassies, and VFS Global offices in India and Bangladesh offer visa application tracking facilities. Check with your nearest Royal Thai embassy or consulate or VFS Global office for more details. 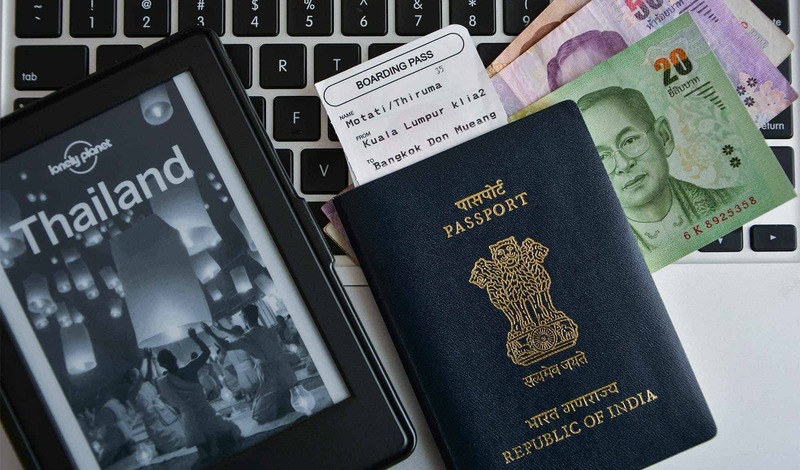 FAQ: What is the minimum passport validity to enter Thailand? The minimum passport validity to enter Thailand is 6 months. Your passport must be valid for at least 6 months from the date of entry into Thailand. Thailand offers visa exemption and visa on arrival to most nationalities. Thailand tourist visa requirements are clear and easy to understand. The visa on arrival fees is a bit high but it is quite easy to avail. Visa required passport holders can apply for the visa only in their country of passport or residence.